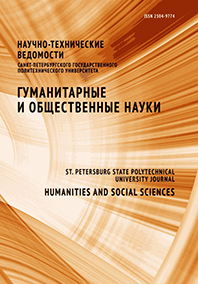 The author of the article describes the problem of selection and presentation of spatial structures of the Russian language in a foreign audience through a functional semantic approach in teaching, which involves the organization of multi-level means on a syntactic basis. Based on the fundamental subcategorization of the functional semantic category of locatives and relying on didactic psychological principles of selection of educational material and on existing research, the linguistic model of functional semantic field of locatives was created, with descriptions of its core and periphery. The central research object is the locative situation. The main types of spatial semantics are distinguished and lexical semantic groups of verbs which correspond to them are given. Special attention is paid to the compound sentence with a subordinate clause of place and the necessity of including it in the training material. The importance of including peripheral means of expression locative semantics in the educational material is suggested; the classification of these means is given for simple and complex sentences. The functional semantic field of locatives can become the basis for activation of spatial constructions in the Russian speech of foreign students.